Sliding doors are a great way of adding extra space to a structural opening for areas where you may have larger equipment going in and out of a room and a standard door-set may obstruct your path and sliding doors can also be a more suitable option for wheelchair accessibility as they are easier to slide across instead of opening a door against themselves. Along with our standard hinged steel door-sets, Fireblock also manufacture single and double leaf sliding steel door-sets so you can choose a door-set to perfectly suit your project whilst also having the peace of mind that you are being provided with top quality products, services and functionality. Fireblock sliding steel doors are second to none with superb quality and aesthetic appearance to suit your needs. Like all our doors our sliding steel doors can be designed to incorporate specified ironmongery and door accessories including automation and powered operation. 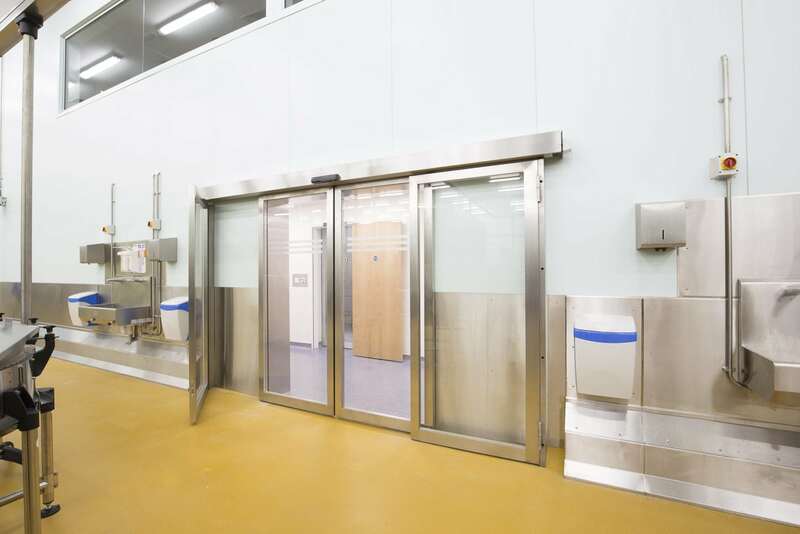 Our sliding steel doors are suitable for a number of applications including- industrial, medical, pharmaceutical, clean room and food industry projects and also be designed to incorporate fire resistance, acoustic performance and blast resistance so you won’t have to compromise.